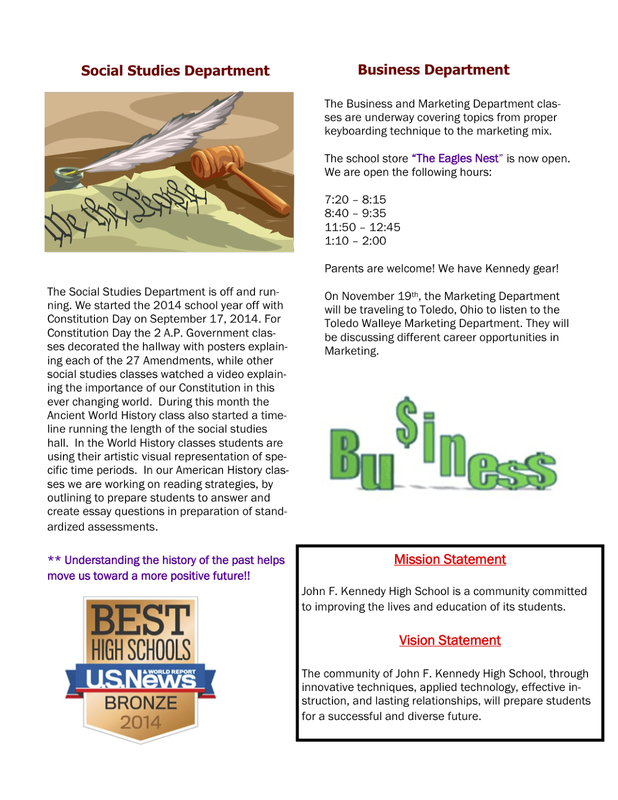 HOOVER MIDDLE SCHOOL: Winning the lottery! 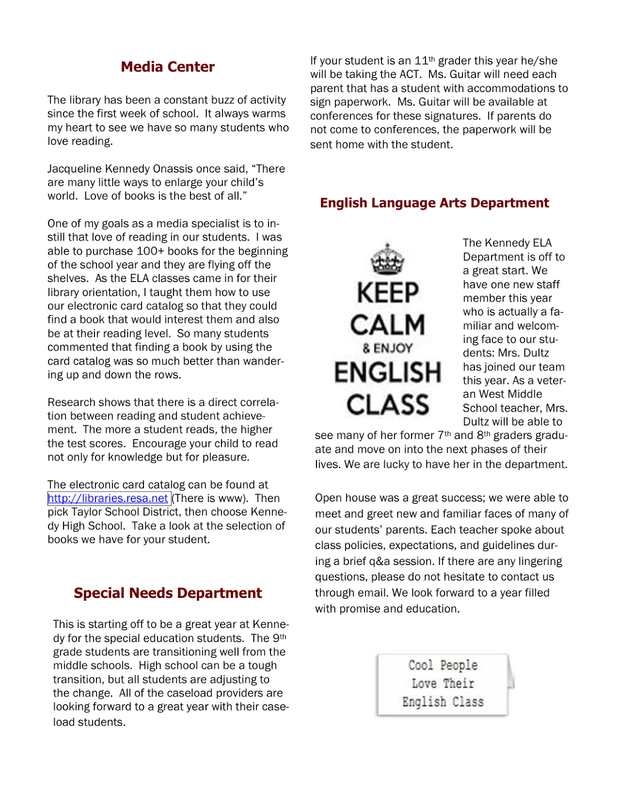 Hoover Middle School teachers pass out behavior coupons throughout the week, every week. On Friday, Mrs. Tocco and Mr. Wegher randomly pull 10 tickets and students get to pick a reward from the prize basket. Students earn the tickets for going above and beyond following the behavior expectations of our Positive Behavior Intervention System (PBIS) program. The first week of October, Hoover Middle School students who did not have ANY tardies in the month of September were rewarded for their great behavior. 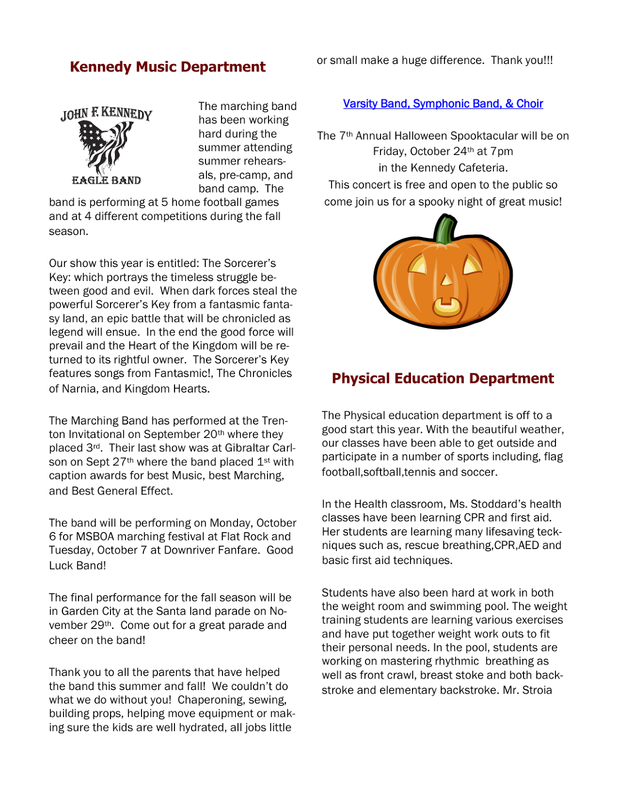 Students were allowed to go outside during their enrichment classes and walk the track as well as participate in pumpkin painting and team scarecrow making. There were 251 students that were eligible to participate. 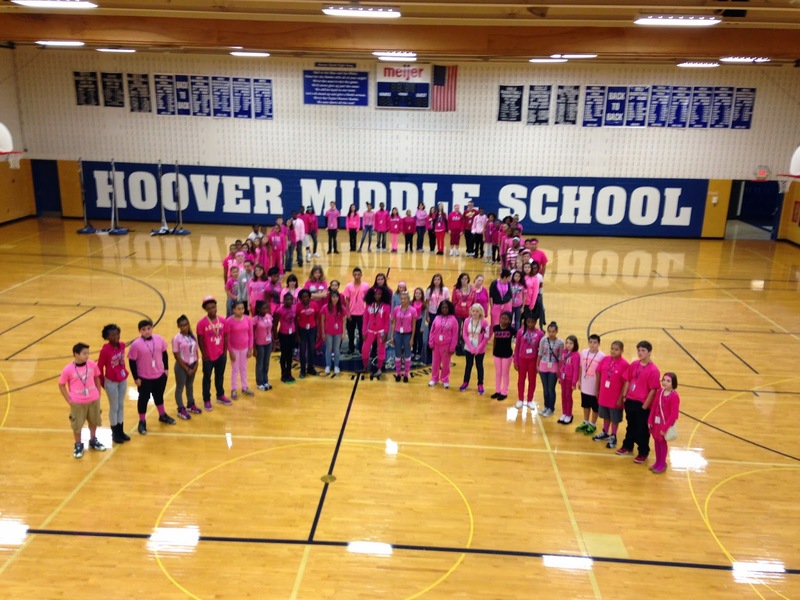 HOOVER MIDDLE SCHOOL: Time for a pink out! 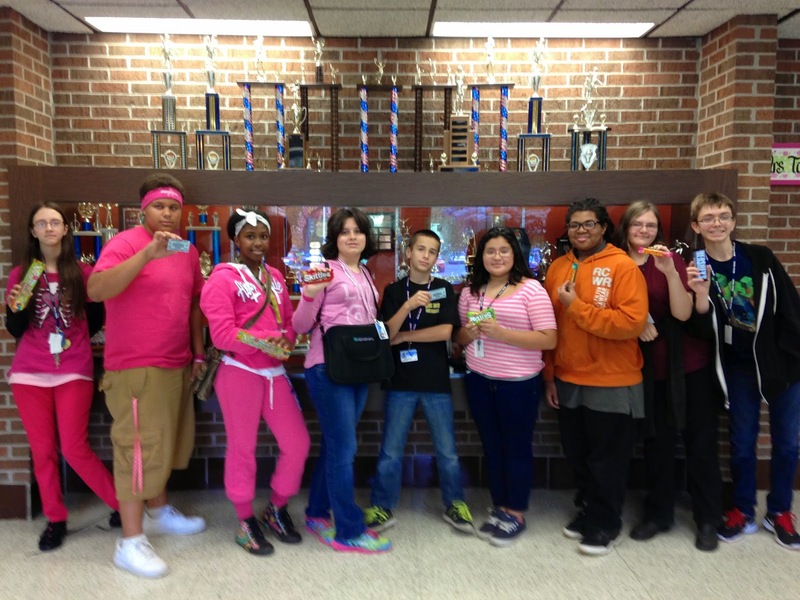 Today Hoover Middle School had a "PINK OUT" in observation of Brest Cancer Awareness Month. Many of the students came to the gym to form the cancer ribbon. 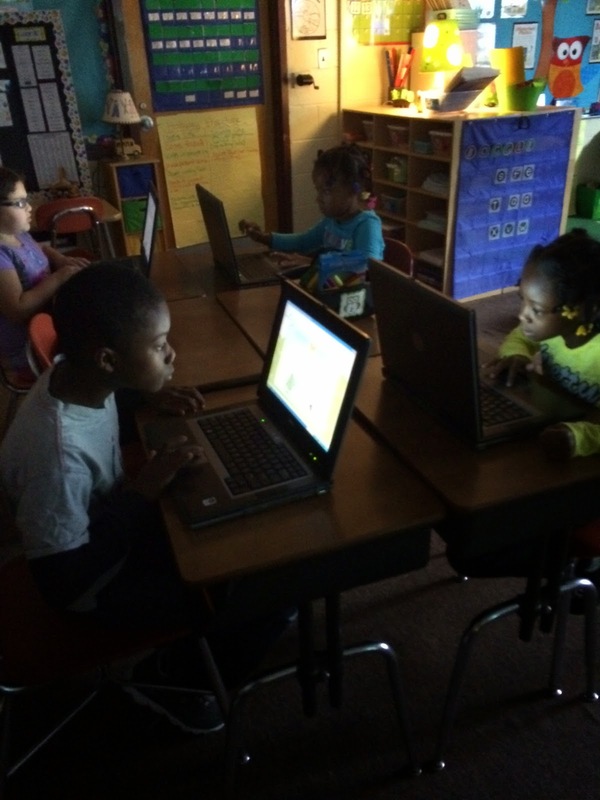 At Myers Elementary School, they are having fun with computers. Mrs. Elkjar's class is hard at work enjoying a weekly computer class with Mr. K.
The students are able to work on a wide range of educational topics and skills that prepare them to be successful with technology. 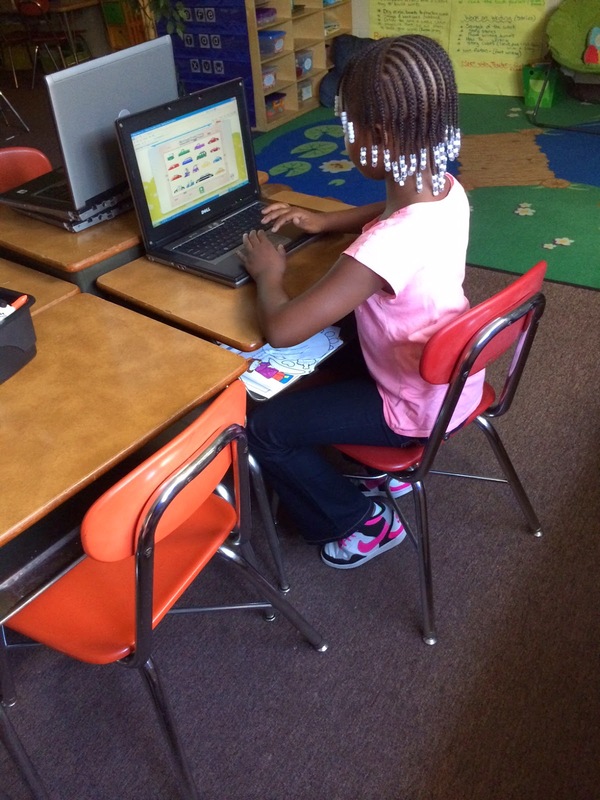 This week students were exploring different math websites to practice and review their subtraction skills. The Adventure Learning students at West Middle School have been working on teamwork and problem solving. 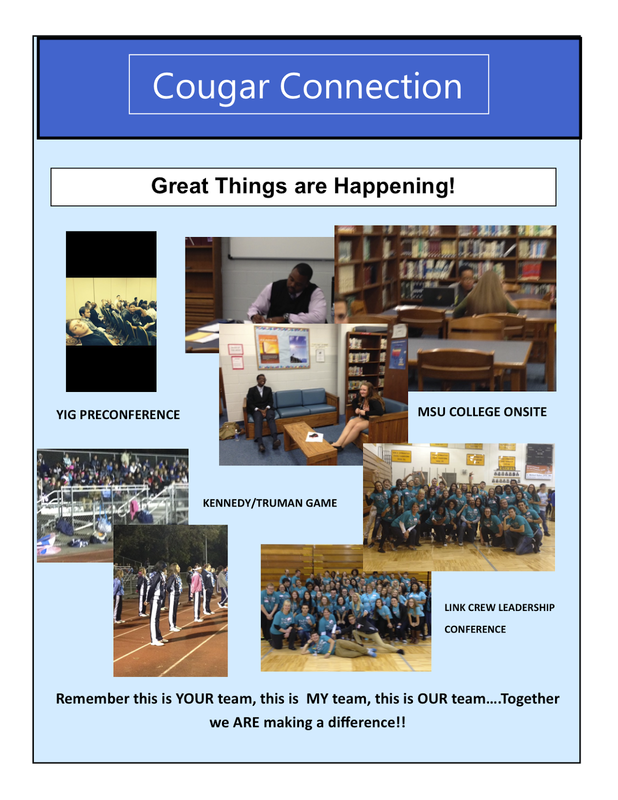 Last week the students participated in The Human Knot Challenge and The Big Business Building Challenge. These activities require communication, patience and acceptance of others. 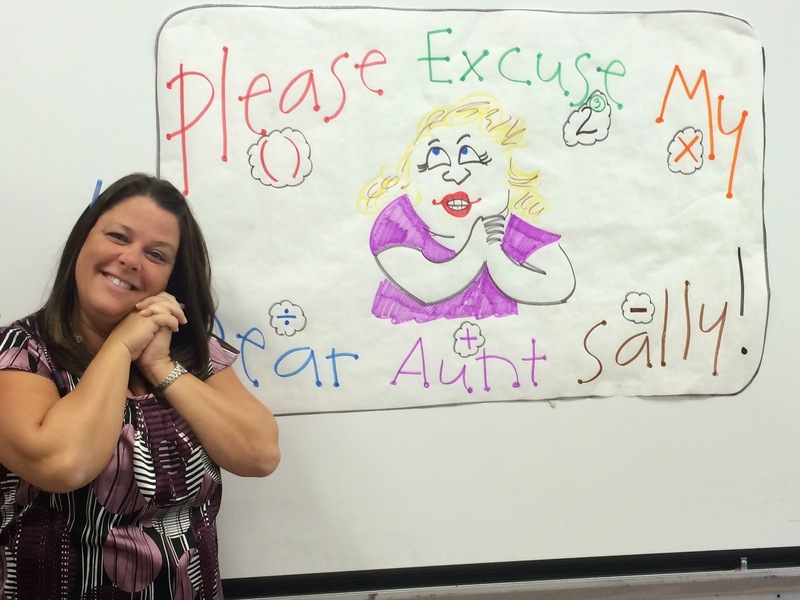 Mrs. Agemak's math class at the Sixth Grade Academy witnessed "Aunt Sally" come alive, through the drawing this incredible math teacher did. 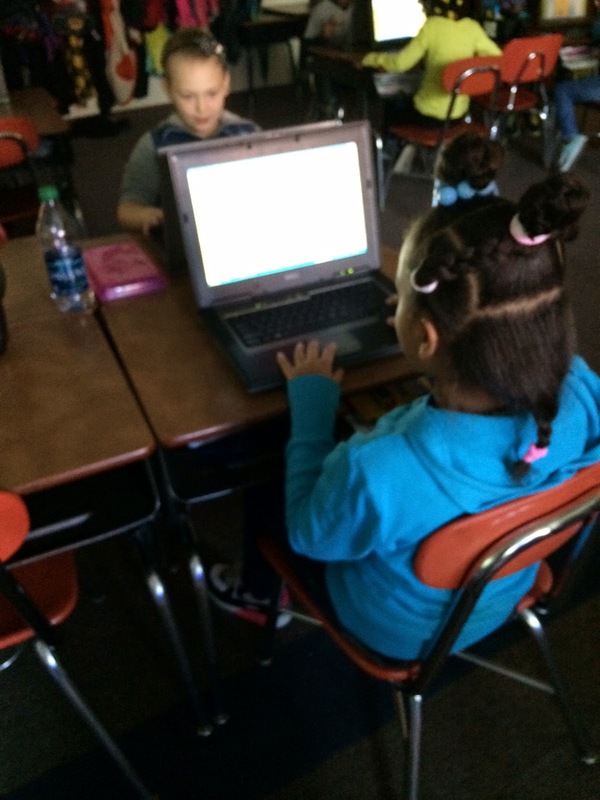 At Eureka Heights Elementary School, DTE recently came to teach the fourth graders about energy! 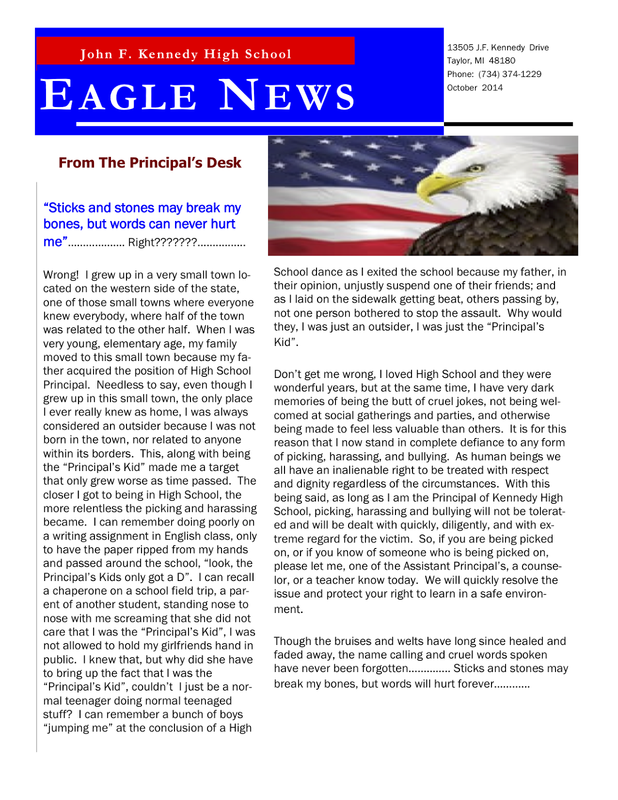 HOOVER MIDDLE SCHOOL: Don't tip over the assignment! Mrs. Atkison and Ms. Kenzie's eighth-grade science classes at Hoover Middle School were assigned the task of building a structure that was tall and didn't fall over. Kindergarten just got better at McDowell Elementary School. 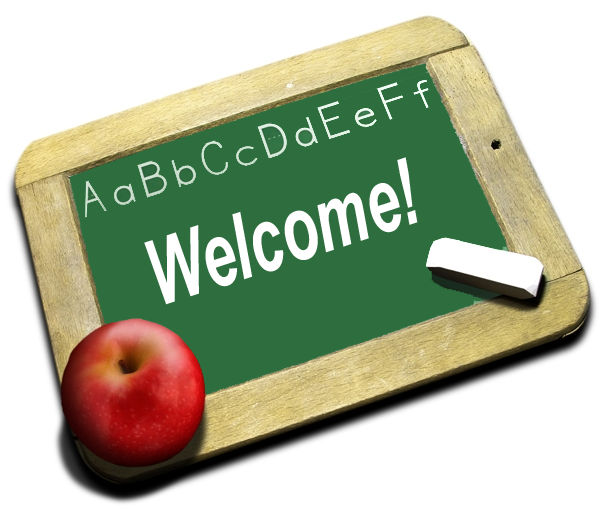 Welcome to two new teachers Ms. Warrington and Mr. Bailey. Ms. Warrington comes to from Myers Elementary. 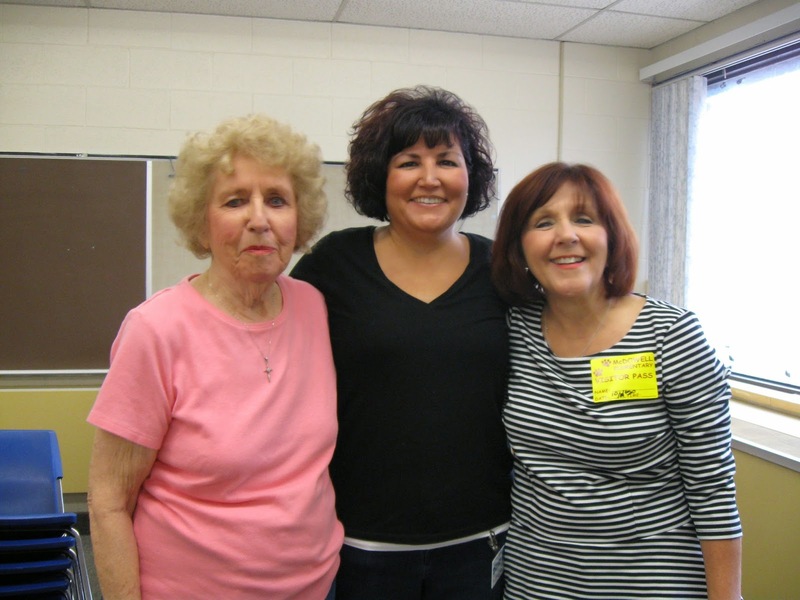 She is shown here with her two best supporters, her mom and grandmother, getting her classroom ready. Mr. Bailey comes after subbing throughout our district. He is shown here with one of our current fabulous teachers, Ms. Bochenek. Starting next week McDowell’s four kindergartens will have the advantage of having lower class sizes. 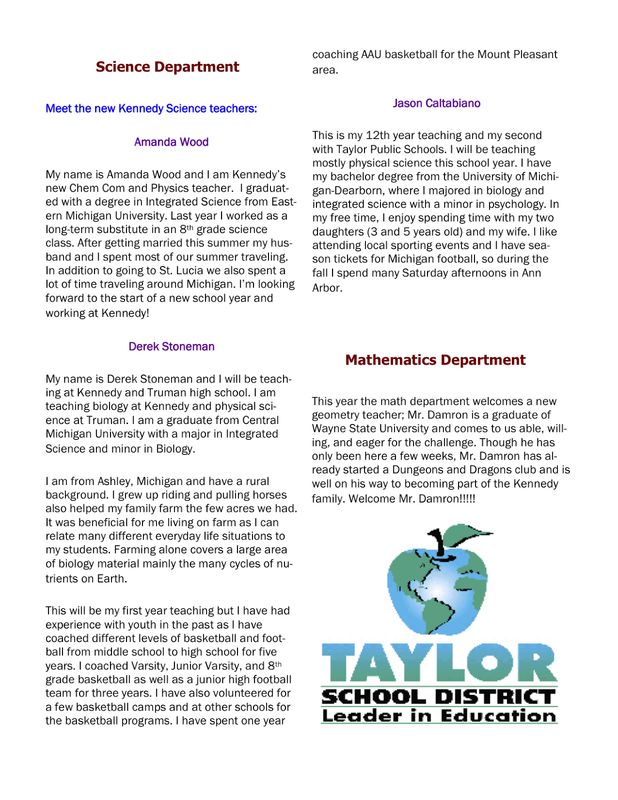 This will give these students more opportunity to interact with their teachers. McDowell is very happy that Ms. Warrington and Mr. Bailey have joined the team! The John Kennedy High School DECA program invites anyone interested to attend its first Thanksgiving Benefit Dinner Thursday, November 13. The dinner will be held in the KHS cafeteria, beginning at 6 p.m.
DECA is hosting the Outback Steakhouse-sponsored Thanksgiving Dinner as a fundraiser that is part of the Kennedy "Care and Share" program. The program helps feed Kennedy students in need over the holiday break. All proceeds will go toward the "Care and Share." There will also be plenty of raffles and other fun. Tickets are $15 per person and payment and RSVP is due no later than October 25. Checks should be made payable to "John F. Kennedy High School." 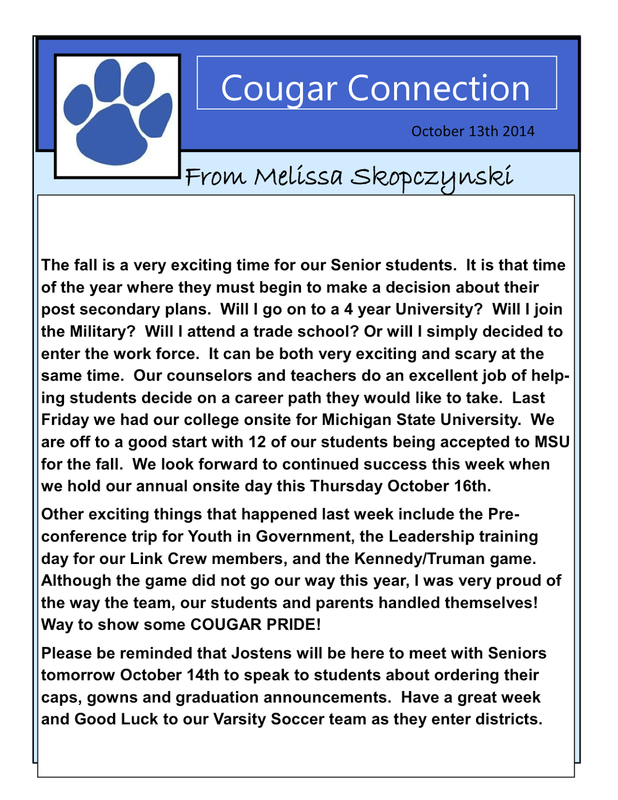 For more information, call Johnathan Gomer at (313) 515-0291 or Laurel Sparks at (313) 515-0291. Would you like to have a say in the future of your community? “Help Shape Taylor’s Future” is an important part of the City of Taylor’s 2014 Visioning Program, which is currently underway involving City officials, key staff and stakeholders. It is being coordinated by Wade Trim Associates, Inc. in cooperation with JTC Consulting. The effort welcomes the input of the City’s residents through a unique Community Opportunities Map, found through the home page of the City of Taylor’s website at www.cityoftaylor.com. You can click through a photo on the top of the page, or though a URL link under notifications (“Click Here and Get Involved!"). This program focused on economic and community development and quality of life issues. Through the online map, “Help Shape Taylor’s Future” is seeking input from residents on what they want to see in their community. It allows residents, property owners, business owners and other interested people to share thoughts and opinions. Comment categories include economic development, cultural and community services, parks and public spaces, public safety, housing, environment, and both motorized and non-motorized transportation. The mapping tool allows users to provide comments and interact, while using the topic categories as a guide. The program helps to identify the community’s strengths and weaknesses, and enables residents to contribute to the overall discussion. For example, residents may seek walking/bicycle paths connecting certain portions of the community, like Heritage Park and Southland Mall. Others may seek better pedestrian access within the busy Eureka Road corridor, incentive programs for business, bicycle lanes on streets, expanded park land or conservation issues, new residential development, better street lights or slower traffic on some thoroughfares. The first of four 2014 Visioning Program sessions was held early in September and served as an introduction to economic and community development. Over 60 people were invited including City staff, elected officials, business leaders and others. The lead presenter that evening was Chip Smith, an expert with 15 years of professional planning experience who specializes in redevelopment and working with economically distressed communities. He is the statewide instructor for MI Place Placemaking Curriculum, MAP Planning and Zoning and Capital Improvements Planning. He was joined later in the program by Mayor John Hieftje of Ann Arbor. Future sessions were scheduled for October, November and December. 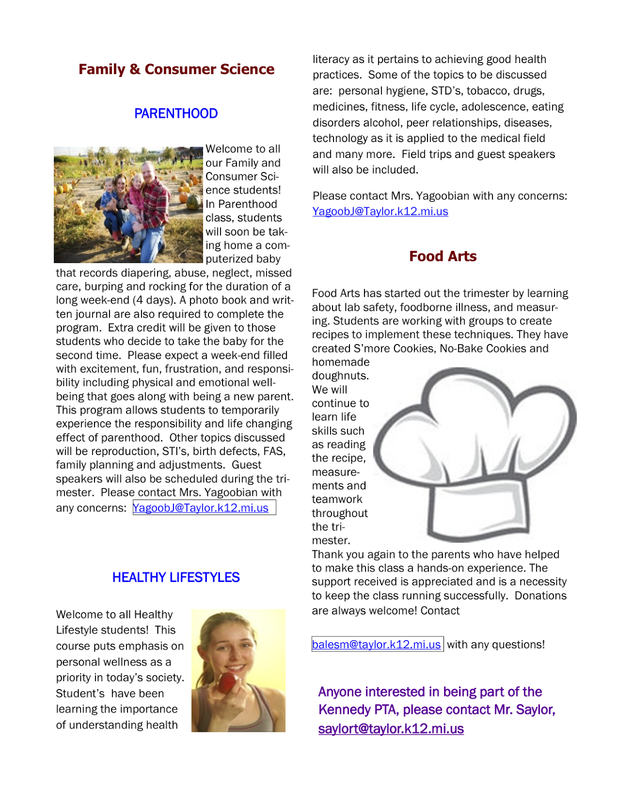 “Help Shape Taylor’s Future” is one of two programs Taylor has introduced this month. “Fix It! Taylor” focuses on improving current customer service while “Help Shape Taylor’s Future” attempts to improve the community in the future. “Fix It! Taylor” is essentially an online non-emergency complaint program that can be also found on the City of Taylor’s website, www.cityoftaylor.com. The program enables residents to file non-emergency complaints through an efficient online system. The issues are funneled as work orders directly to staff members. For instance, if a resident filed a pothole complaint, it would be highlighted on a map in the system, clearly defined and sent directly to a foreman in the DPW Department. The resident would receive an immediate automated response and, within a 24- to 48-hour period, an update would be posted from the department as to how the situation is going to be addressed. The “Fix It! Taylor” program is just one of several customer service initiatives recently started by Mayor Rick Sollars’ administration. Others include new telephone options to enable callers to connect directly with elected officials in the City, and new greeters at the front door of City Hall. The City of Taylor cautions residents not to confuse these two programs. The City of Taylor will host a "Coffee with Mayor Rick Sollars" from 6 to 8 p.m. Thursday, October 23, at the Taylor Recreation Center. Everyone is welcome to attend. Coffee and pastries will be available. The event gives everyone a chance to speak with Mayor Sollars in a casual open forum and to see the renovated TRC, which opened October 1. The recreation center, closed for several years, is holding a membership drive during this month. A variety of memberships are available with prices as low as $10 monthly for seniors 55 and over and just $20 for a family of four. A membership not only gets you access to the facility's many features (new cardio room, gym, saunas, walking/jogging track, weight room, etc., but also offers additional programs like Taylor Dance, Zumba, Karate, step, kickboxing and massage. The TRC is open from 6 to 10 a.m. and 5 to 9 p.m. Mondays through Fridays, and is also open 7 a.m. to 9 p.m. Saturdays. It is closed on Sundays. For more information on the TRC, call (734) 374-8900. 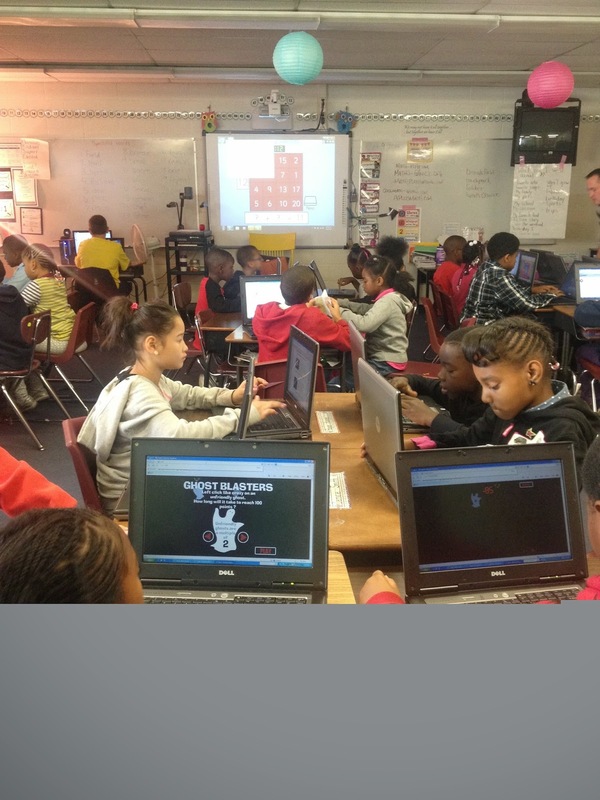 The third graders in Mrs. Youngs’ class at Myers Elementary School are having a great time learning about technology with Mr. Kaunelis. 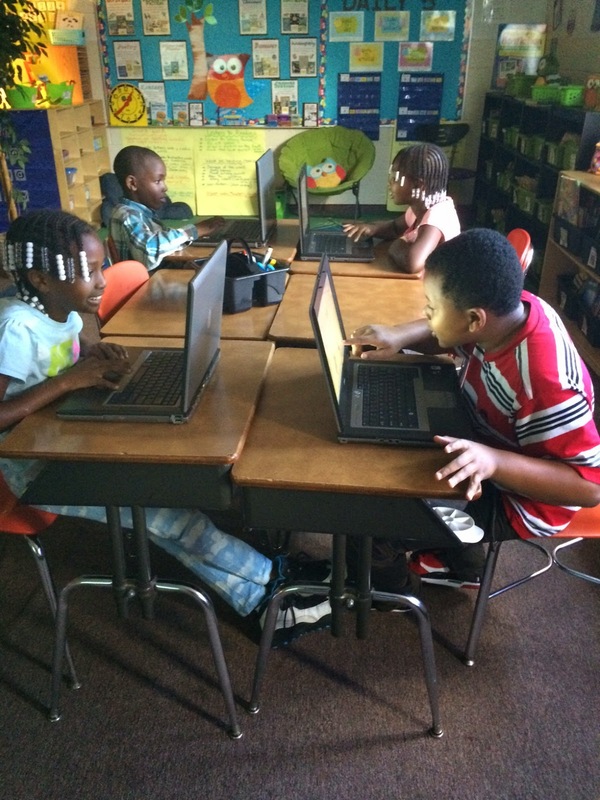 They have been learning how to handle computers, computer skills and playing games online. They are looking forward to many more opportunities with laptops. 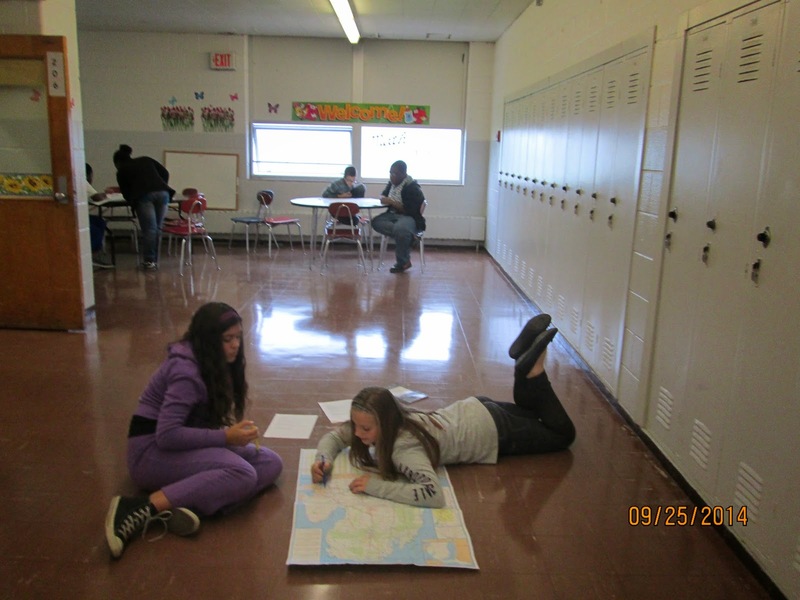 Photo 1- Natalia and Lauren study the map of Michigan. 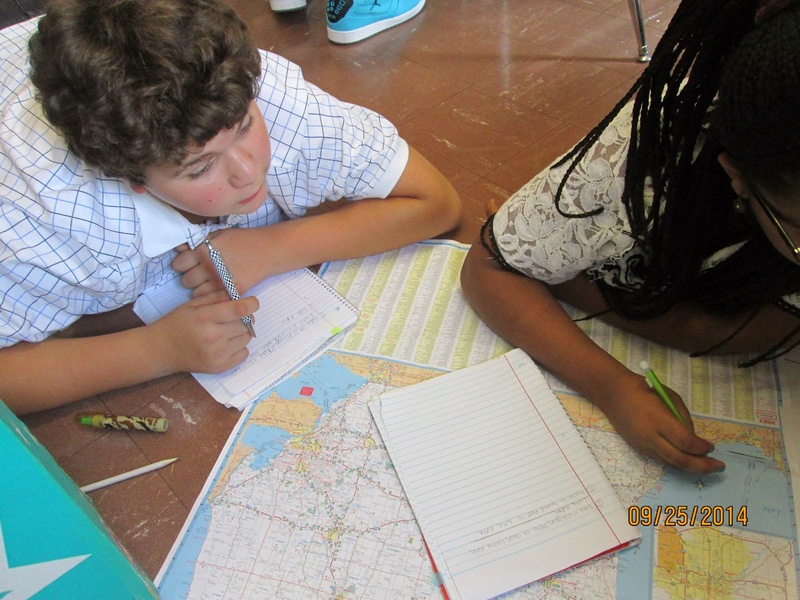 Photo 2 Antonio and Madison deep in thought trying to plan a travel route. 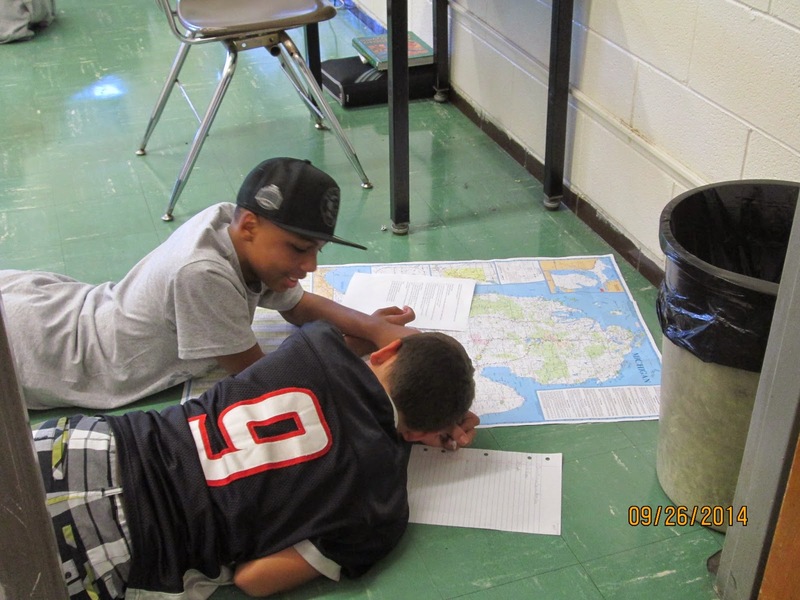 Photo 3- Lavelle and Nigil recall their map skills as they study. 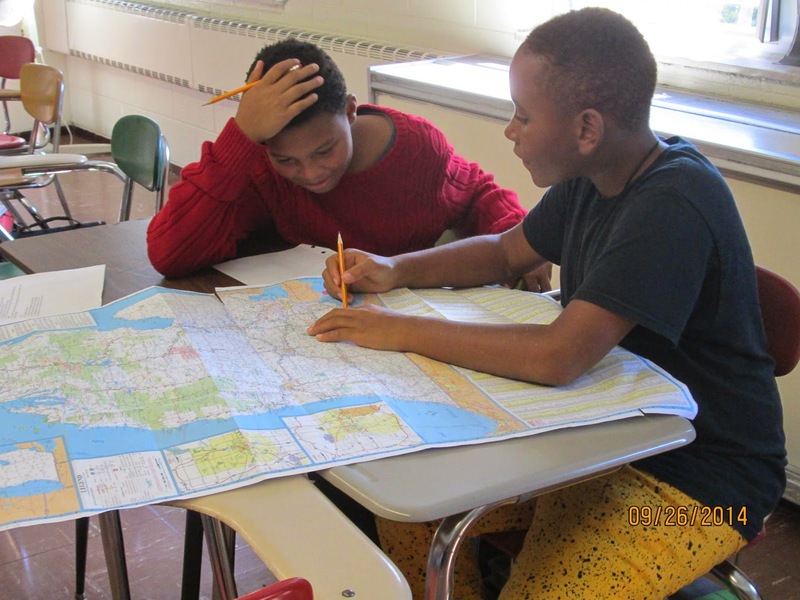 Photo 4- Devin and Sam locate Taylor on the Michigan map and plan a route to Flint. I don’t care if you are African American, European American, Hispanic American, Asian American or Native American. I don’t care if you are male, female, transgender, bisexual, questioning or gay. I don’t care if you are Islamic, Buddhist, Hindu, Catholic, Christian, Jewish or an atheist. I don’t care if you are rich, poor or destitute, mentally or physically challenged, a citizen or an alien legal or illegal. I don’t care if you suffer from a disease, a disorder or a syndrome, or if you are statistically average, above average or below average, as a living breathing soul you deserve to be treated with respect. I may disagree with you. I may not even like you. But I will always treat you with respect. We must also keep in mind that everyone is “broken” to some degree. No one goes through life without being scarred and gathering “baggage” along the way. It is through our broken nature that we view our world around us and make decision and choices based on our past experiences. This is what separates us and drives us to be inhospitable toward others that don’t believe as we believe. Simply, it becomes easy to vilify others of a different mind. I say not to do that which is easy, for hate is the easy way out. I say take the more challenging path, learn to understand each other, learn to recognize another’s pain, look for the things that bind us together. For we must never forget, that all people deep down inside need and want the same things. We want to belong, to feel appreciated, and valued. We all want to feel as if we have contributed to a greater cause, we all want to be loved. Given the above, we need to teach our students tolerance. We need to let them know that the other players on the other side of the football field are just like them, that the best seat in the cafeteria is the one next to the student sitting alone, that a smile gets you further than a scowl, that showing someone respect is not a sign of frailty or submission, but a sign of internal strength and confidence. We need to teach our students that everyone has value, the good Lord does not make mistakes, and that kindness is not weakness. Essentially, we need to return to the practice of teaching citizenship in school, teaching our students proper decorum and how to behave. Otherwise, how can we expect them to live up to expectations for which they have no training?